MACEDON, Akanthos, (c.525-470 B.C. 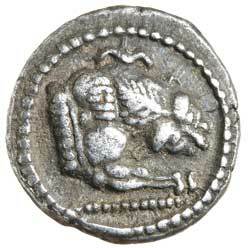 ), silver tetrobol, (2.45 g), obv. Forepart of lion right, head turned as if biting prey, floral ornament above, rev. 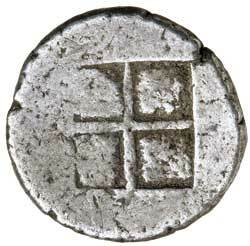 quadripartite incuse square, (S.1273, AMNG III/2, 13, HGC 3.1, 386). Dark tone, good very fine, fine style for issue.